will follow the hymn sing. Tom Trenney shares his passion as pastoral musician, composer, and teacher in worship with his home congregation, in the college classroom, and in performances, hymn festivals, choral and organ workshops and master classes all around the country. 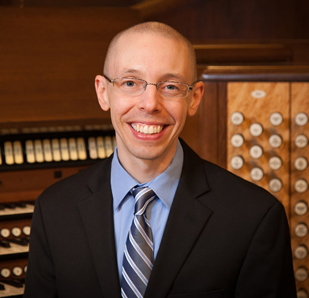 Since 2009, he has been blessed to serve as Minister of Music to First-Plymouth Church (United Church of Christ) in Lincoln, Nebraska, where he shepherds three adult choirs, accompanies the congregation on the Schoenstein organ, preaches sermons, and guides the Abendmusik at First-Plymouth Concert Series. In 2015-16, three of First-Plymouth's choirs were honored to perform at conventions of the Nebraska Choral Directors Association, the Nebraska Music Educators Association, and the North Central American Choral Directors Association (ACDA). In March 2017, First-Plymouth's chamber choir, Cantorei, sang two worship services at the national ACDA convention in Minneapolis. 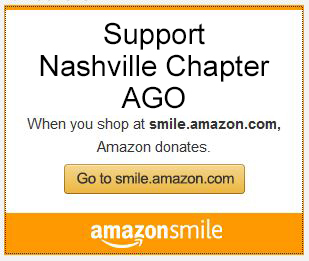 The Nashville Chapter was founded in 1933 with 20 members. Today, the chapter has grown to over 200 members representing many churches and universities in the area. Church Musician Jobs: Send an email to jobs@nashvilleago.org if you have information about an available position that you wish to have distributed to members of the Nashville Chapter AGO.